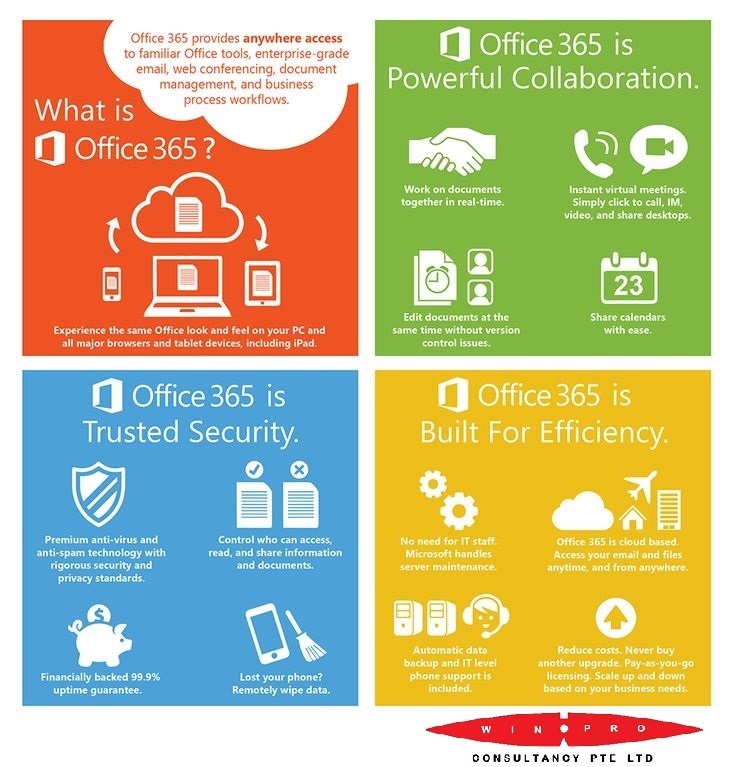 Office 365 refers to subscription plans that include access to Office applications plus other productivity services that are enabled over the Internet (cloud services), such as Skype for Business web conferencing and Exchange Online hosted email for business, and additional online storage with OneDrive for Business and Skype minutes for home. 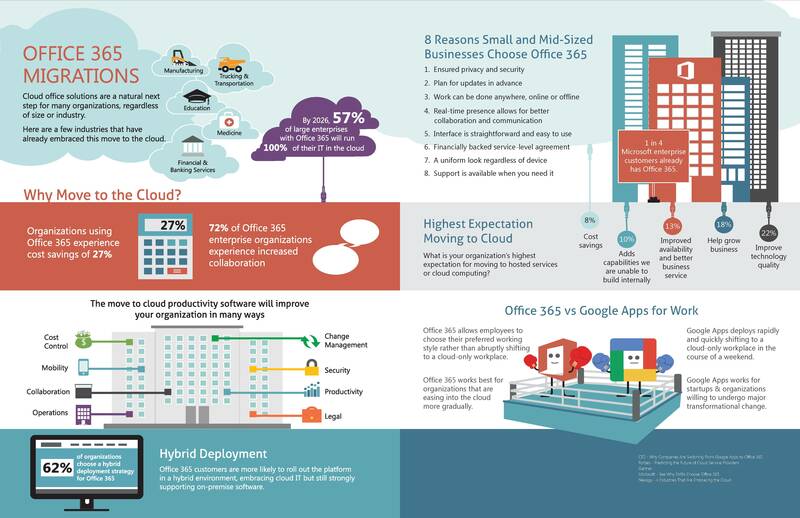 Many Office 365 plans also include the desktop version of the latest Office applications, which users can install across multiple computers and devices. The full, installed applications include: Word, Excel, PowerPoint, OneNote, Outlook, Publisher, and Access. (Publisher and Access are available on PC only.) And you can install them across multiple devices, including PCs, Macs, Android tablets, Android phones, iPad, and iPhone. When you have an active Office 365 subscription that includes the desktop version of Office, you always have the most up-to-date version of the applications. We can perform a situation assessment free of charge at your office premises to determine the level of implementation to deploy Office 365. Do contact us using the form on the right, or call us to get more information on how Office 365 can help in your business.